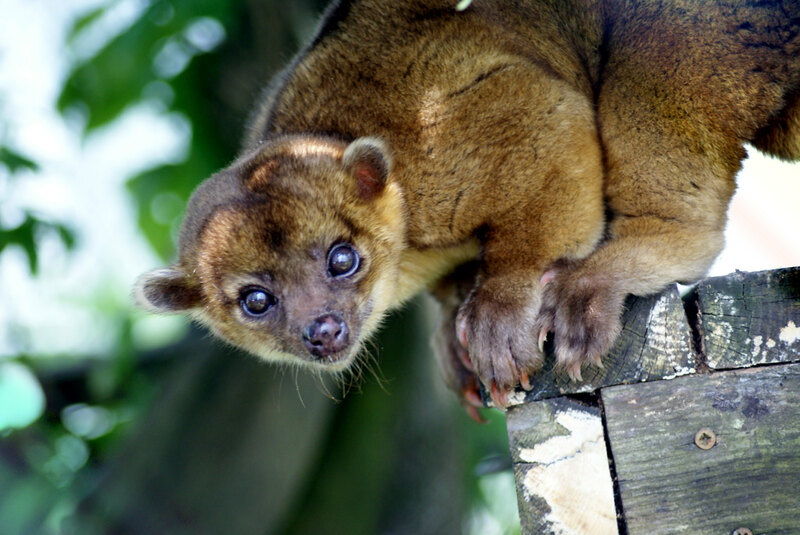 Native to Central and South America, Kinkajous are also known as Honey Bears; however, they are not related to bears. Kinkajous are most closely related to raccoons, despite having an appearance more like a primate. Kinkajous have a long, prehensile tail that is used to grasp branches and trees as they eat fruit or move from tree to tree. The average lifespan of a kinkajou in the wild is around 20 years. In captivity, they have been known to live up to 30 years, however the average lifespan in captivity is between 23 and 25 years. Kinkajous are typically between 16 and 30 inches long with a long tail that ranges from 15 to 22 inches. Kinkajous weigh on average 3 to 10 pounds. Kinkajous are typically brown in color, though they may be lighter or darker shades depending on the animal. Kinkajous are nocturnal by nature. Their most active time tends to be from around 7pm to midnight. Kinkajous are very aggressive and startle easily. When they become aggressive, kinkajous typically attack their attacker’s face or genital area. They are mainly arboreal, meaning they live in trees the majority of their lives. Kinkajous have very sharp teeth and long sharp claws that can easily be used to fend off attackers. Kinkajous live in dense rainforest regions and spend the majority of their lives up in trees. Though kinkajous are not endangered, their principle threats are deforestation of their habitat and humans capturing them for the pet and fur trade. Kinkajous have become a popular pet despite their aggressive nature. They are also killed for their pelts to be used for wallets and horse saddles. Kinkajous live in the rainforests of Central and South America. 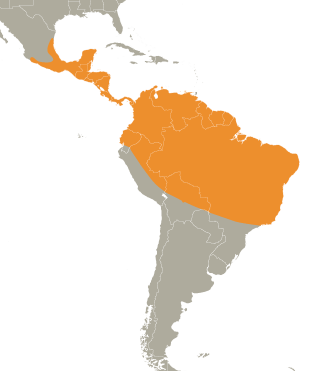 They live in dense rainforest regions. Kinkajous are primarily fruit and insect eaters. They will, however, on occasion, eat small vertebrates. Due to the fact that they eat fruit and nectar, Kinkajous are important pollinators in the rainforests. Pollen will often be transferred from flower to flower by way of kinkajou fur.  A kinkajou's gestation period lasts between 100 and 120 days. Mother kinkajous take full responsibility for the babies. Females will typically have one or sometimes two babies at a time. A baby kinkajou stays with its mother until it’s about 18 months of age. Kinkajous are nocturnal animals that live in trees for most of their lives. They travel from tree to tree, high up in the branches that overlap. Each day, kinkajous will find a small hollow of a tree to sleep in. They are very aggressive by nature and can inflict a lot of damage onto an unsuspecting attacker. Currently, kinkajous are not endangered. Though they are rarely seen, their numbers are high. They are difficult to study because they are nocturnal, secretive, and live high up in the canopies of the rainforests. Ending the pet trade of exotic animals, however, will help keep their numbers high. Kinkajous have, in recent years, become a popular yet very dangerous pet. Kinkajous are known as "Honey Bears" and "the Devil's Teddy Bear"